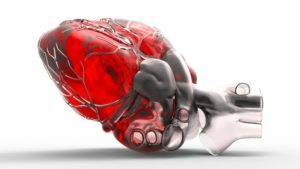 A multidisciplinary team working at Pennsylvania State University claim to have used human stem cells to regenerate the cells that cover the external surface of a human heart. The new research may one day help replace damaged tissues caused by a heart attack or genetic defects. Building upon previous research into what is known as Wnt signaling pathways (a group of protein conduits that allow signals to enter a cell via cell-surface receptors), the researchers found that the action of certain chemicals on these pathways effectively turned the cardiac stem cells into myocardium cells (which make up the middle of the heart’s three layers of muscle), which they can then transform into epicardium (outer layer) cells.